I have always found ABL Resources to be highly proactive throughout the audit process consistently communicating issues from the field. 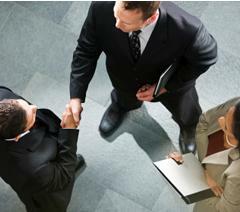 The firm has the ability to tailor their approach to the needs of the deal. We relied heavily on ABL Resources as we grew our cross border presence in the marketplace. It is difficult to find audit resource which possesses a full understanding of ABL processes. ABL Resources are true to their name and provide a thorough service. ABL have continued to provide a first class service, built on first class communication and a fully proactive approach, which is refreshing in the industry. ABL Resources is highly dependable and does a very thorough analysis of collateral. I would highly recommend them! We see ABL Resources as a continuation of our own asset management. ABL Resources provides Landsbanki Commercial Finance with a quality service, within tight deadlines. ABL Resources has proved to be an excellent partner for the completion of cross border ABL surveys and recurring field examinations. ABL Resources provides high quality reports within the deadlines set out by our clients. We look forward to future cross border collaborations through the new ABL Alliance. Stuart brings great knowledge, and great detail to us when we work with him. I trust his work highly, and enjoy the dialogue we have. He is an expert in the ABL field examination area and I'd not hesitate to recommend him and ABL Resources.